On Sunday I was helping a friend finish up The Valley of the Gold Monkey dungeon, and after the Gortez battle we both received an Orchid Chameleon pet! I have been wanting this pet for awhile. Actually, it reminded me that I have been wanting to farm for all of the dropped pets in Pirate101 for awhile. So that night, I decided to do a little farming. I had heard that a great place to farm for the Armadillo Verde pet was Tyson. So I headed to the Tumbleweed Skyway in Cool Ranch. 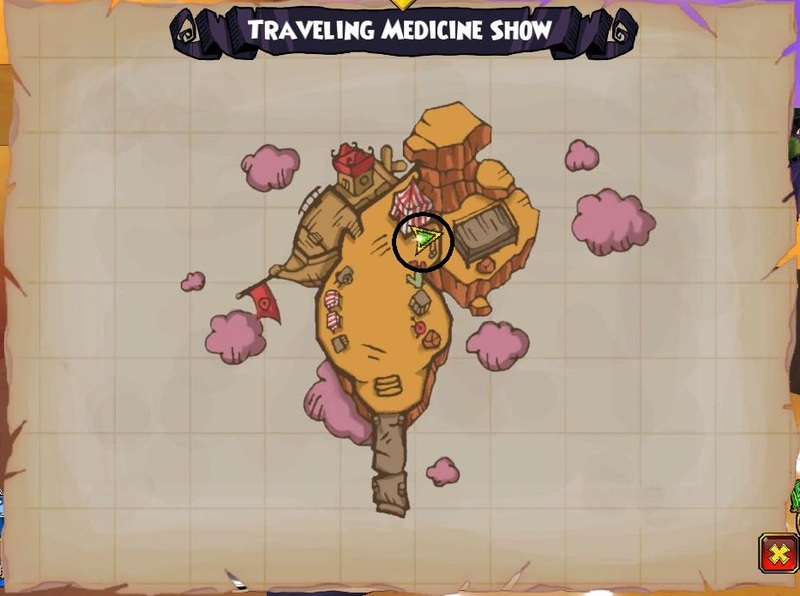 If you're wondering where Tyson is located, he is in Cool Ranch, Tumbleweed Skyway, Traveling Medicine Show. Here is a map. Anyway, I fought Tyson 6-7 times total. On the 2nd fight, I got the Golden Stingtail pet. And on the last try I got the Armadillo Verde pet. Apparently Sunday was my lucky day in Pirate101! So I definitely recommend farming this boss if you want either of these pets. Here I am with all three of them!